Here’s a link to the draft piece I’m working on. The first iteration is on my FB. I’ll develop this further tomorrow. My perspective is that of a Marine Corps Officer of 22 years and a student of history. At a minimum please read Mr West’s and Mr Mark’s letters to Mr Khan. Regardless of your persuasion many may learn or share some perspective you may never have seen here to. Links are imbedded in post. The Draft Post on My FB Page….. There is some interesting comments on the FB string. When and every time my Grandmother said to us “remember who you belong to.” She didn’t just mean that we belonged to her as in don’t mess this up. She implied, implored, and impressed that by remembering to whom we belong to, that it meant to remember that I am a new creature and child of our Mighty Lord Christ Jesus. It meant to remember that I am a child of the family that is Beaman, Armstrong, Cooley, Wilson, and Wallace. That it meant to remember that it was those families for which I’m a child of, did in steadfast faith, purpose, and action settle on this continent at Plymouth, at Boston, in Kentucky, and at Nova Scotia. It meant to remember that members of our family were part of the 3 percent of colonialists who risked life, property, and their sacred honor to fight for our independence from Tyranny. They civilly founded two Constitution’s and if needed We today can and have already made in many states the groundwork to convene a third Constitutional Convention because the example has been laid before us. It also meant that I was to learn and study our history and the history of the world so that I might remember and be grateful and cautious to learn from our history. It meant never to forget the moments you have had with your Uncles and Grandfathers that have gone off to war; they won’t be with you forever so go to them young man, take leave young Marine while you still can. She meant that I was to choose the right heroes in life and then to remember you then belong to their memory and accountability also. My heroes and/or beloved influencers were and are special and if you may not know of them, I’d be proud to introduce you to- Wendy Dawn White-Beaman, Sergeant Robert F Cooley USMC, Tech Sergeant James Earnest Armstrong USA, Tennie Wilson Beaman DAR, Roger Wilson Beaman, Ryan Wallace Beaman, Master Sergeant Jeff Hess USMC, Gunnery Sergeant Oronde Ward USMC, Chief Warrant Officer Henry Cooke USMC, General and President George Washington, Corporal Rick Johnson USMC, John Calvin, Rev Andrew Wiggins, Dr Christine Brown, Martin Luther, Rev Dietrich Bonhoeffer, Taylor Elizabeth Beaman, Allyson Rose Beaman, President Ronald Reagan, Rev Martin Luther King Jr, Rev/Chaplain Dean Emery USA, Rev R.C. Sproul, Rev John Piper, Staff Sergeant ‘Cricket Black’ USMC, 2nd Lieutenant Charlie ‘Hambizl’ Hamilton USMC, Chief Warrant Officer Don Brown USMC, Master Sergeant Joaquin Cocco USMC, Lance Corporal Scott Dougherty USMC, Master Gunnery Sergeant Michael ‘The Last Centurion’ Bragin USMC, Master Sergeant Edward Valdez USMC, Master Gunnery Sergeant Alberto Gomez, Sergeant Frederick Pou USMC, Lt Colonel Jack May USAF, Colonel Michael Bowersox USMC, Lt Colonel Christine Rabaja USMC, Gunnery Sergeant Mark Jones USMC, Master Gunnery Sergeant Lloyd Locklear USMC, C.S. Lewis, Gunnery Sergeant Paul Agromonte USMC, PM Sir Winston Churchill, Rev John Allen , Robert James Armstrong, SSgt Manuel Disla USMC, President Abraham Lincoln, the Police, Fire and Rescue, my brothers and sisters in arms and in the Lord, and even Glenn Beck……. So I’m just thinking that with my lifes heroes being Christ, Elizabeth Holbrooke Cooley-Armstrong, George Washington, Wendy Dawn White-Beaman and my daughters; that could not ever be as though I don’t ‘belong’! 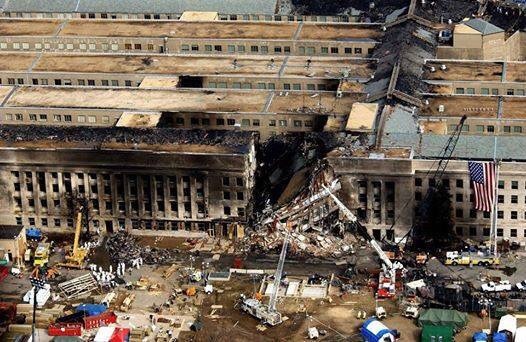 AFTER FLIGHT 77 hit the Pentagon on 9/11, the following incident occurred:A chaplain, who happened to be assigned to the Pentagon, told of an incident that never made the news. A daycare facility inside the Pentagon had many children, including infants who were in heavy cribs. The daycare supervisor, looking at all the children they needed to evacuate, was in a panic over what they could do. There were many children, mostly toddlers, as well as the infants that would need to be taken out with the cribs. About 2 minutes later, that Marine returned with 40 other Marines in tow. Each of them grabbed a crib with a child, and the rest started gathering up toddlers. The director and her staff then helped them take all the children out of the center and down toward the park near the Potomac. Once they got about 3/4 of a mile outside the building, the Marines stopped in the park, and then did a fabulous thing – they formed a circle with the cribs, which were quite sturdy and heavy, like the covered wagons in the Old West. Inside this circle of cribs, they put the toddlers, to keep them from wandering off. Outside this circle were the 40 Marines, forming a perimeter around the children and waiting for instructions. There they remained until the parents could be notified and come get their children. The chaplain then said, “I don’t think any of us saw nor heard of this on any of the news stories of the day. It was an incredible story of our men there.” There wasn’t a dry eye in the room. The thought of those Marines and what they did and how fast they reacted; could we expect any less from them? It was one of the most touching stories from the Pentagon. It’s the Military, not the politicians that ensures our right to life, liberty, and the pursuit of happiness. It’s the Military who salutes the flag, who serves beneath the flag, and whose coffin is draped by the flag. If you care to offer the smallest token of recognition and appreciation for the military, please pass this on and pray for our men and women, who have served and are currently serving our country, and pray for those who have given the ultimate sacrifice for freedom.